Real Madrid have reportedly been given a deadline of 12 days to seal the transfer of Chelsea forward Eden Hazard as he rejects a new contract at Stamford Bridge. This is the claim of Don Balon, who report that the Belgium international now wants his future resolved by the time the World Cup is over on 15 July. Hazard could be a fine signing for Real Madrid after his impressive displays for Chelsea down the years, as well as for his country at this summer’s tournament in Russia. There has long been talk that the 27-year-old could seek to leave Chelsea this summer after their failure to qualify for the Champions League. Marca have previously claimed Hazard’s father offered his son to Real Madrid before the Champions League final, so this deal may have been in the works for some time. It remains to be seen how close Real truly are to getting anything done, and Chelsea are sure to do everything in their power to hold on to such an important player. 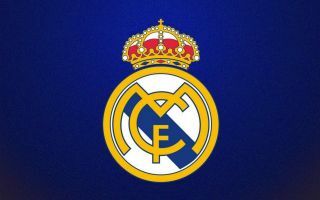 Having missed out on La Liga last season, however, Madrid would do well to bolster their misfiring attack by landing a player like Hazard, who could be a significant upgrade on Gareth Bale and a fine long-term replacement for Cristiano Ronaldo.